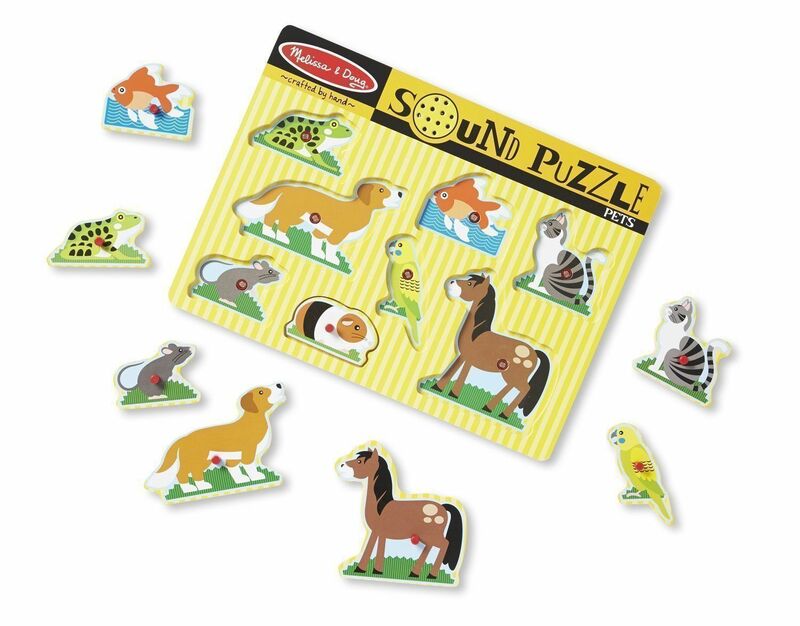 Some of our favourite pets are waiting to "speak" to your child. 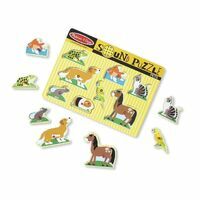 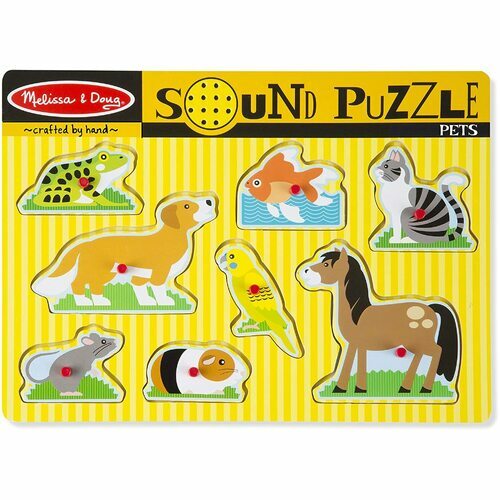 Place the puzzle piece into the well with the matching picture on the puzzle board and hear the animal meow, woof or tweet! 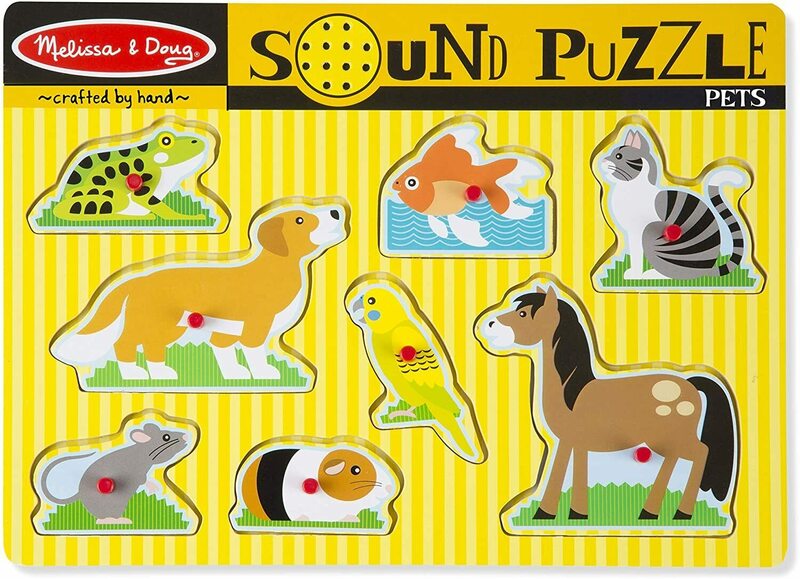 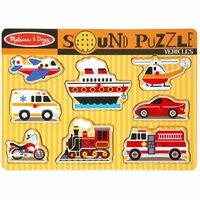 Eye and ear-catching puzzle enhances matching and listening skills.